It would be pretty hard to argue that sweets are not most people’s favorite food or that the cookies going missing was not your fault. Your sweet indulgence might just not be a late night treat but it also might be why you can’t wake up in the morning. For most of us we wouldn’t think twice about the white granules we dump graciously into our coffee but its sugary sweetness hides a dark secret. Sugar is known to cause tooth decay and poor gum health, along with increasing the risk of obesity and heart disease. Sugar can also speed up the aging process and ruin your skin. Along with worsening eczema and promoting acne, gut flora is also damaged when consuming sugar. 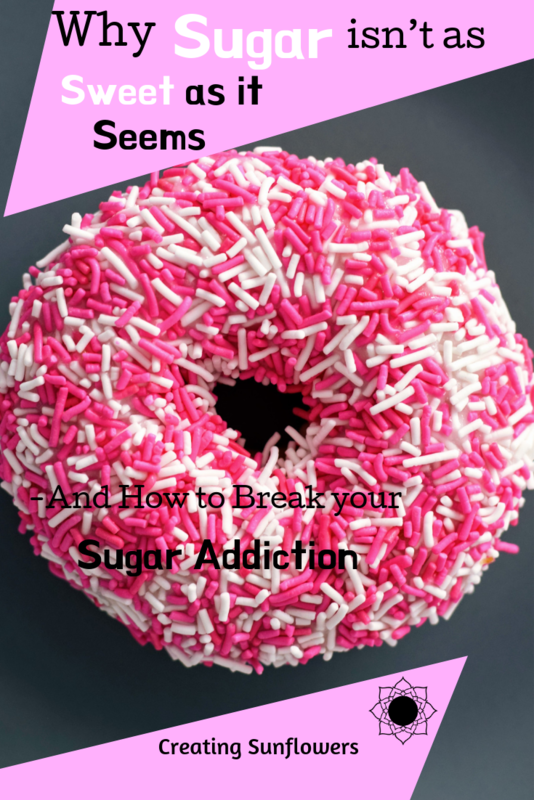 Sugar can cause a whole lot of problems and when left unchecked can really screw up your life. The average American consumes 152 pounds of sugar is one year. That would be around 6 cups per week, whereas the daily recommended amount is 13.3 teaspoons daily. Sugar is sweet but its effects are definitely not. Read on to find out 8 ways you can work to reduce your sugar consumption. When you haven’t eaten enough food, it’s really easy to jump on the first snack you see. By eating enough and having healthy snacks, you are less likely to experience sugar cravings. Staying hydrated helps to reduce food cravings because our brains frequently mistake thirst for hunger. As well having water with you at all times can prevent you from grabbing a pop or sugar-filled drink when you become thirsty. With fresh produce, you will never need to read a nutritional label as this is the food’s simplest form. Fresh fruit and vegetables will not only fill you up but are also great for ensuring you get all the important nutrients and vitamins without adding any extra sugar. The single best way to bring awareness to what your eating is to read the nutrition label. This helps to give you a good picture of the nutrients that you get from the food, as well as any drawbacks it might have. Whereas the nutritional label can have a 20% error margin, the ingredients list is typically more accurate for knowing exactly what is in a food. It can be a healthy practice to look at both for a better understanding of what you’re buying. When you’re tired you are more likely to go for an easy snack that contains sugar to give you an energy boost. Sleeping enough also leads to a healthier life and can help you have the mental clarity you need to make good food choices. Many foods that are marketed as low/non-fat are not as healthy as you would like to think. To make a snack with no fat still taste good, the fat is replaced with a sweetener, typically sugar. Make sure to check the food labels of all foods even if they appear to be healthy. Typical desserts and treats almost always have a lot of sugar in them. The same goes for pop and other sweet drinks. By avoiding your typical soda at lunchtime you can save on a huge amount of sugar. Adding spices like cinnamon, nutmeg, or allspice can help to make food taste sweeter. By sprinkling in a little bit, you can change the taste of your food and make it seemingly sweet. Almond or vanilla extract can also be used to up the flavor without compromising the healthiness. Protein powders are also useful in this sense. Protein powder can be purchased in a variety of flavors and kinds, most of which bring a sugar-free sweetness. There are plenty of ways in which you can reduce your sugar intake and aim your life in a healthier direction. Sometimes it’s hard to stay on track with our healthy habits. That's why I created a habit tracker to help you keep on top of your goals. With a printer friendly layout and minimalist design, you can easily record your progress. When you sign up to my email list you not only get access to this freebie but all future updates as well! 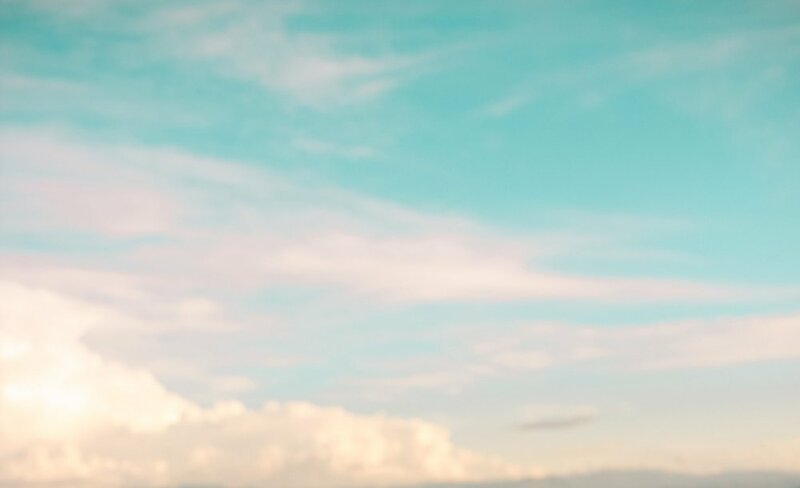 Breaking your sugar addiction can be tough and added sugar can feel almost impossible to avoid but by changing your habits around food, you can take back control over your health. 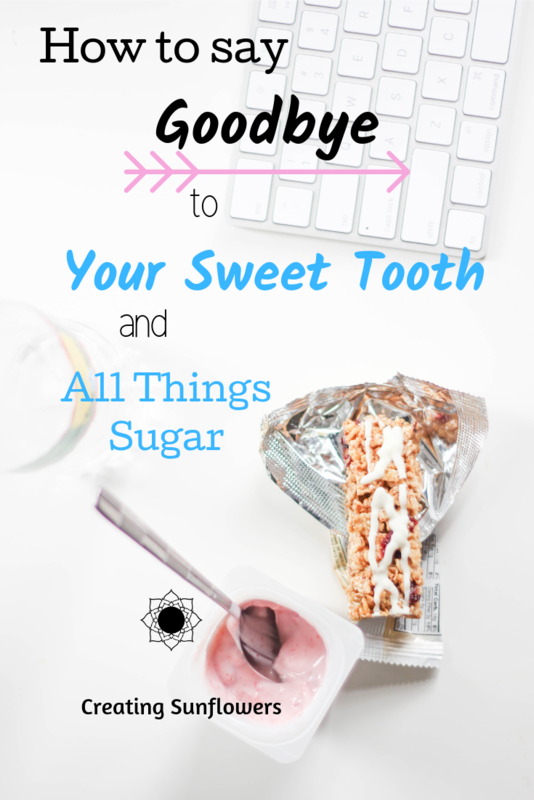 It’s time to kick sugar to the curb and curb your cravings!